The new iPhone release on Friday, September 21 has spawned three new tech topics over the past weekend. The most interesting one being about the Verizon iPhone 5 being SIM-unlocked. Read on for all the scoop. Some people have reported that the some units of the new iPhone have scuffs and tiny scratches right out of the box. Apparently, the aluminum body scratches far easier than the stainless steel antenna on the sides of the previous two generation iPhones. People with these defects have mostly been able to go to the Apple store to get their unit replaced at no cost. Apple seems to have responded to this, saying that scuffs on aluminum is "normal". Wut? This one is a bit shocking. The Verizon iPhone 5 is exactly the same as the factory-unlocked model, but at a subsidized price. People have been able to use the phone on AT&T and other networks in the US. Verizon has acknowledged this and even cleared up the fact that their iPhone 5 will remain so. Verizon is said to be the best carrier out of the three in the US that will carry the iPhone subsidized. People pick Verizon anyway (I know I did). They don't seem to care. While they normally unlock the iPhone on request after a customer has been in good standing for 60 days for international use, this new "feature" comes as a very pleasant surprise to everyone. The phone will easily be usable in other countries, which is great for frequent travelers who like to pick up a cheap SIM card. This is the biggest news story of the three and even one that has spawned jokes around the web. 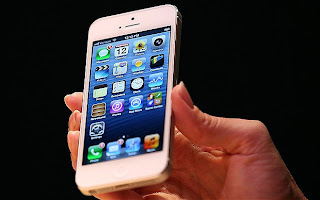 The iOS 6 update came as a free upgrade to users of a lot of iPhone, iPad and iPod touch models. iOS 6 also dropped Google Maps from the official, built-in Maps app (they also dropped the bad YouTube app). 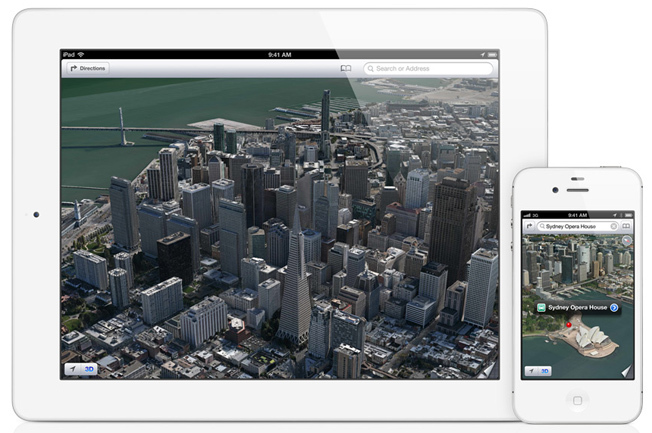 Instead, it comes with Apple's own Maps service that's compiled from TomTom's data mostly. The iPhone 5 launches with iOS 6 as well. This led to an outrage. The Apple Maps app is missing a lot of important businesses and a lot of landmarks and addresses are plain wrong. In some areas, satellite images are messed up and there is absolutely no coverage in several important cities and developed countries around the world (even countries where the iPhone 5 will launch). While Google Maps has Map Maker, which allows users to contribute local map data, Apple Maps has no such forum. Although Apple's Maps has live turn-by-turn navigation and the 3D Flyover feature in many major cities (like the new, limited feature in Google Earth), it is also lacking public transit directions, at least right now. It links you to other apps on the App Store that may or may not show you useful public transit directions. Everyone is expecting Google to make their own iOS 6 Maps app, like they did for YouTube (iPad version coming soon). I'm pretty sure they'll do it at some point, but the bad Apple Maps may be drawing some people to Android. Keep in mind that maps.google.com can be used on iOS 6 devices. Bad maps are keeping a lot of people from making the upgrade to iOS 6 right now, which could potentially cause fragmentation of iOS versions in the hands of users. Apple likes to compare the iOS upgrade adoption rates to Android during keynotes; let's see what they do about it. Either way, the iPhone 5 remains the bestselling iPhone in history, just like every time.